If your doctor has prescribed a medication using terminology such as QID or Q6H, what does that mean? If a medication is prescribed every 4 to 6 hours, do you need to awaken at night to take it? How can you interpret all of the other medical lingo describing your medication? Let's translate what these terms mean so that you can take your medication the way that your physician—though speaking in what appears to be a foreign language—intended. Many people have questions about timing when they get a prescription, look at orders on a discharge sheet, or remember instructions given in the office or hospital. You may hope to find the answers online so you don't need to call your physician to clarify her instructions. While definitions of medication timing terms can help you take your medication the way it's intended, it is no substitute for talking directly with your physician. 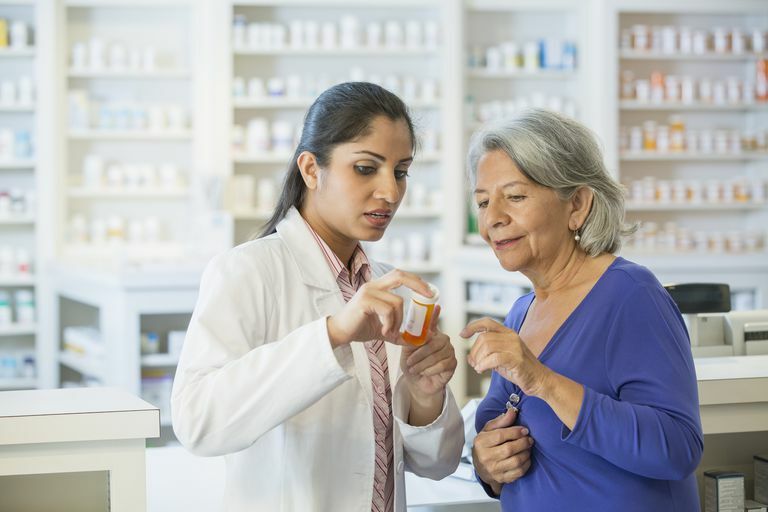 Your pharmacist is also an excellent resource when it comes to figuring out how your drugs work, their adverse effects, or how your drugs should be taken. Pharmacists are knowledgeable and trained to answer all your questions. Patient education is a part of their training and a primary service they provide with each prescription. Don't hesitate to ask your questions in person or give your pharmacist a call to clarify instructions. If you are in doubt about medication timing, always ask your doctor or pharmacist. One distinction in medication instructions is when a medication is prescribed at a specific time interval, or instead, is written as a number of doses to be taken daily. An example would be a prescription that is prescribed QID (translated to mean take the medication four times a day,) and q6h, which would mean to take the medication every six hours. What is the difference? When a medication is prescribed QID (4 times a day) it is most often assumed that the medication will be taken 4 times a day spread out over waking hours. However, this is something to clarify with your physician or pharmacist if it isn't spelled out. A prescription prescribed q6h (every 6 hours) is usually designed to be taken every 6 hours, even if you have to set an alarm and wake up to make sure you follow this schedule. Around-the-clock medications (ATC) are those which you need to take at a regular time interval, say every 6 hours. This may be needed to keep the levels of the drug in your bloodstream above a certain number. If the amount of the drug in your bloodstream at any one time during a 24-hour day is important, taking a drug at a set interval is recommended. A regular interval is often recommended with a high blood pressure medication, a heart disease medication, or something such as a blood thinner. To understand this you may want to think about how the medication works. With a blood thinner, for instance, you want to make sure your levels are relatively constant over time. With a QID schedule instead, you'd be apt to have leveled a bit higher than normal at some times and lower than normal at others. ATC dosing is used for medications such as heart medications but may be used for pain medications as well, especially when getting behind on the medications may cause a rebound of pain symptoms. With severe pain, and especially with pain medications used at the end of life, pain medications will be recommended ATC instead of PRN (as needed) to maintain better pain relief. In contrast, if you are using a medication for mild pain or itching, using it during waking hours may be the best option if you don't need the medication in your system while you are asleep. Some physicians clarify this on a prescription, for example writing either "QID while awake" or "q6h (or other timing) while awake." The severity of the need for the medication may also determine the timing. For an infection such as a strep throat, a medication may be prescribed four times daily while awake. For a life-threatening infection, in contrast, it's important to take a medication at set intervals (for example, every 4 hours) to make sure your blood levels of the drug are never below therapeutic levels. Additionally, you may see a symbol on your script that looks like a "T" with a dot at the top of it. This abbreviation means one pill. There may be one to 4 T's with dots at the top of them signifying one to four pills. Obviously, you may not see all of these abbreviations in one script. For example, OD, OS, and OU are used only for eye drops and not for pills. The timing of doses isn't the only question people may have when it comes to deciphering prescriptions or oral communication from your doctor. Other abbreviations include the number of refills allowed and whether you are receiving a brand name or generic drug. Medical errors are a significant cause of death in the United States. Fortunately, most of these errors are preventable when patients are active advocates for their health and ask plenty of questions. Haseeb, A., Winit-Watjiana, W., Bakhsh, A. et al. Effectiveness of a Pharmacist-Led Educational Intervention to Reduce the Use of High-Risk Abbreviations in an Acute Care Setting in Saudi Arabia: A Quasi-Experimental Study. BMJ Open. 2016. 6(6):e011401. Nkansah, N., Mosteovetsky, O., Yu, C. Chheng, T., Beney, J., Bond, C., and L. Bero. Effect of Outpatient Pharmacists’ Non-Dispensing Roles on Patient Outcomes and Prescribing Patterns. Cochrane Database of Systematic Reviews. 2010. (7): CD000336. What Do the Abbreviations on Your Prescription Indicate?